Visit our showroom and design your dream bathroom - for less! Since 1994, Michigan Luxury Bath has been transforming old, tired bathrooms into refreshing, beautiful new ones. 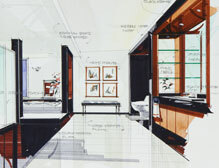 Modern Bath Systems is Michigan’s most trusted expert in bathroom renovations. 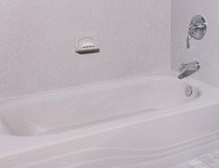 The core of our business remains our convenient “One Day Bath Remodeling” featuring acrylic tub liners and walls in a variety of colors and patterns. With the maturing of the baby boomer generation, full bath remodeling that includes tub to shower conversions, whirlpool tubs, walk in bathtubs and barrier free showers have become a necessary improvement for many. The addition of safety grab bars and ADA compliant toilets have become increasingly popular for all age groups. Modern Bath Systems of Flint, MI, is also proud to partner with the U.S. Department of Veterans Affairs in order to provide financial relief for veterans who have bathroom or kitchen renovation needs. In addition to top quality bathroom and shower renovations, we also do renovation work in Flint, Grand Blanc, Fenton, and surrounding Michigan area towns—especially accessibility renovations—for kitchens and kitchen areas. 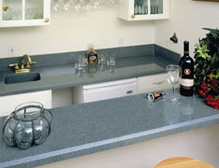 This includes remodeling and renovations for cabinets, countertops, flooring and more. Visit our kitchen renovations page for more information. If you are a senior citizen, a veteran, or simply wish to have your bathroom or kitchen renovated, contact us today to learn more about how we can transform your bathroom into the most comfortable room in your house once again.